In the nine weeks to 1 January, total sales excluding fuel increased by 2% despite the continuing impact of store closures. Like-for-like transaction growth was strong, up 5.2% year-on-year during the period. The supermarket said the growth was a result of an improved shopping experience for customers both in its stores and online. 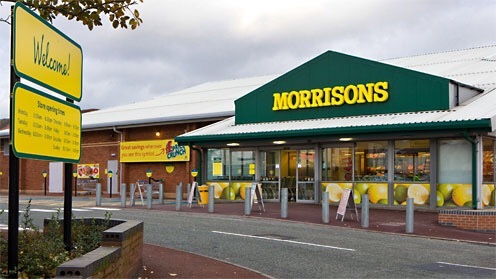 During the period, Morrisons.com achieved its biggest ever week for sales. David Potts, Morrisons chief executive, said: “This Christmas we made further improvements to the customer shopping trip. We stocked more of what our customers wanted to buy, more tills were open more often, and product availability improved as over half of sales went through our new ordering system. Both like-for-like and total sales grew, which was very encouraging. Morrisons said its new ‘Best’ range is proving very popular, with over half of customer baskets including at least one ‘Best’ item. The supermarket launched over 100 new ‘Best’ products for Christmas shoppers in addition to the first 470 products launched last autumn. The supermarket now expects its 2016/17 underlying pre-tax profit to be ahead of consensus and in the range of £330 million to £340 million.